Alaska Milk Corporation recently signed an agreement with ABS-CBN Lingkod Kapamilya Foundation’s Bantay Kalikasan (BK) to properly dispose used lead-acid batteries from their vehicles and used industrial oil from their industrial plant. 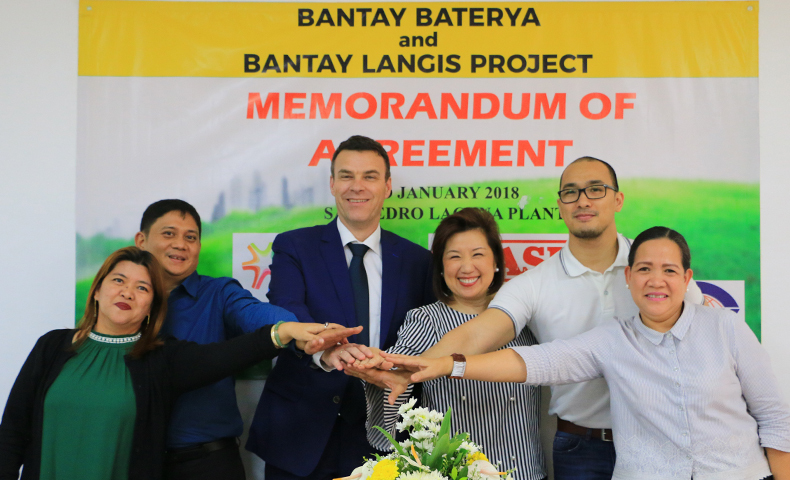 Through Bantay Kalikasan’s recycling partners, Genetron International Marketing and Oriental & Motolite Marketing, the monetary value from the collected and recycled hazardous wastes will be donated to Bantay Kalikasan to support its environmental efforts to thirteen sites nationwide. Recycling of hazardous wastes, such as lead acid batteries and used oil is under the Bantay Baterya and Bantay Langis projects of BK. Since 2000, BK has properly disposed more than 4 million kilograms of used lead acid batteries and recovered more than 1 million liters of used industrial oil from different partner companies. In photo: (L-R) Engr. Jocelyn Panen (Genetron International Marketing's Technical Sales Director), Joer Dizon (Genetron International Marketing's Managing Director), Jan Wegenaar (Alaska Milk Corporation's Director of Operations), Susan Bautista-Afan (ALKFI's Managing Director), Paul Vincent Mercado (ALKFI's Marketing Head), and Rita Regalado (Oriental & Motolite Marketing Corporation's ULAB Supervisor) during the MOA signing. ABS-CBN Lingkod Kapamilya Managing Director Susan Afan articulated the impact of Bantay Baterya and Langis projects in improving the lives of the communities that BK supports. “BK has benefitted over 7,000 members of 90 People’s Organizations through various social enterprises of Lingkod Kapamilya’s ecotourism sites,” Afan said. Alaska Milk Corporation’s Director of Operations Jan Wegenaar expressed their company’s efforts to reduce their carbon footprint through partnering with BK. “Our aim is for this impact to be as minimal as possible and it’s going to be less and less over time. We are actually investing in smart solutions in order to make sure that the amount of energy we use will be less than what we are using today,” Wegenaar stated. The environment is among the three pillars of Alaska together with providing better nutrition through producing milk and empowering farmers and encouraging young people to be farmers.